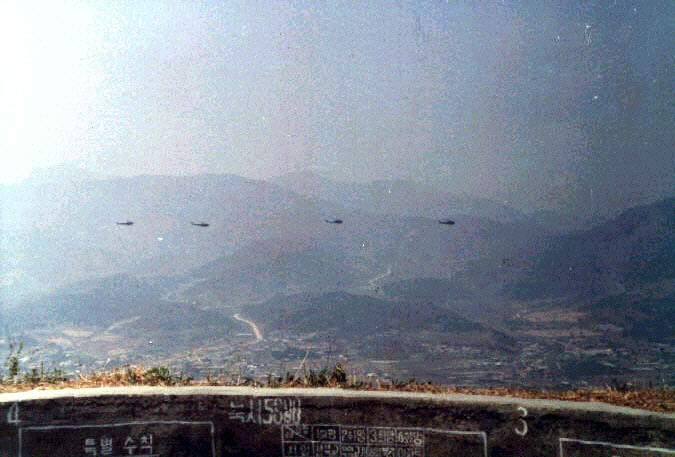 Four South Korean Huey's fly over the "Chorwan Valley". The number 2 invasion route into South Korea. At the very bottom of the picture, written on the concrete wall is "ARTY" and "AAA" spotting info. As you can see, it's a good observation position.